Whatever they are they seem to be tricked out. 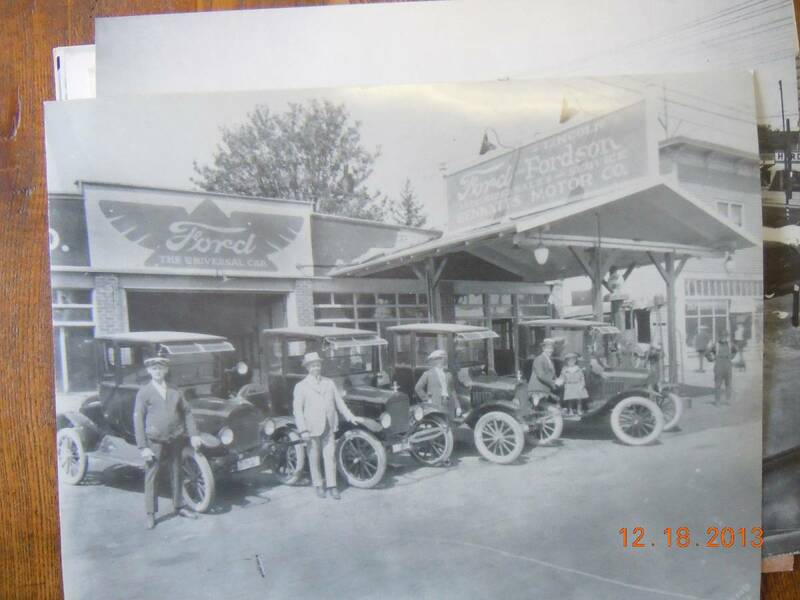 I think I see a window rising knob on the first car, which would make these 1922 Coupes (possibly early 1923), or at least the first one. This way of raising and lower windows through a stepped channel replaced the old leather pull straps in about May, 1922. The doors are rear-hinged, of course. Visors, front bumpers and winged Moto-Meters have been added. Anything else? Hmmm...they all look like Doctors to me... !!!!??? Looks like quadruplets to me. No Coupelets there, all Coupes from '19 - '23. the only way I know to tell the difference is by the door handles, and the only one visible is too fuzzy to tell which type it is. The '19 and '20 ones had bail handles, the 21's had a T-shaped handle, and the '22-'23's had the L-shaped handle. If they're all doctors, then the one at the far right car must be a pediatrician. One more way to tell. Because the coupelets did not have a doorpost above the beltline, all three door hinges are below the beltline. On the later coupes, there are two hinges on the lower part of the door and one on the post near the top. They aren't very clear in this photo but you can see them.